Petroula – Corfu. Image courtesy of Villa Plus. 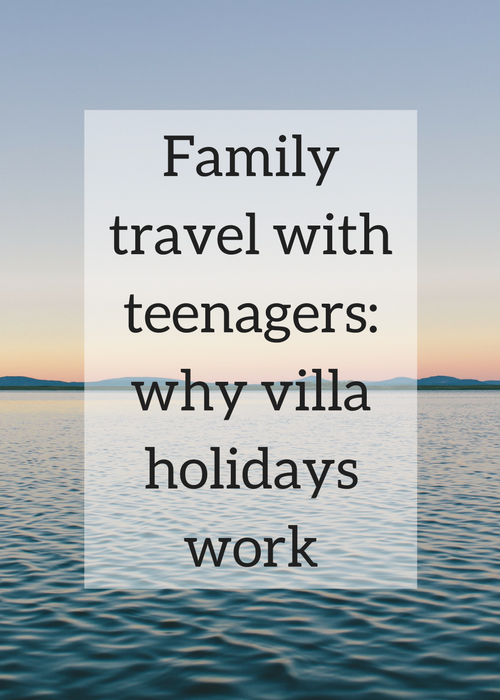 I’ve teamed up with Villa Plus to look at why villa holidays work so well for families with teenagers. When they’re not on a family holiday, most teenagers probably spend more time with their peers than they do with their families. So when the whole family is together on holiday, it can be tricky, and it really helps if there’s space in your accommodation for your teens (and you) to have some privacy. Holiday villas are ideal for this, as they offer living rooms and outside areas as well as bedrooms and bathrooms. This flexible space offers plenty of opportunities for each family member to hang out with the rest of you, or to find a quiet corner by themselves. Villas are great because they offer you some privacy and independence, but in a spot which you choose. You can find villas in all types of locations, whether you want a place on the beach or up a mountain, in a resort or in the countryside. My family (including the teens) love trying new food and going to restaurants when we’re travelling. But we enjoy shopping at local markets and cooking too, and this is where villas work well for us. Sometimes it’s more relaxing to have a barbecue and sit outside by the pool in the evenings than it is to go to a restaurant on holiday. Villas are also good because they have a fridge – vital if you have a teenager of the never-not-hungry variety. It’s unlikely that your teenage children will want to do everything that you do on holiday. They will want to have some independence. Ours definitely are not interested in visiting all of the museums and UNESCO sites which my husband and I want to explore. But this isn’t a problem. As long as we’re staying somewhere safe and comfortable (like a villa), the kids can stay there and relax while we head off for a couple of hours to see what we want to see. Besides comfortable and flexible accommodation, a great villa offers something more. The most important element of a happy holiday with teens is wifi. The next most important thing, if you’re somewhere hot, is a pool. 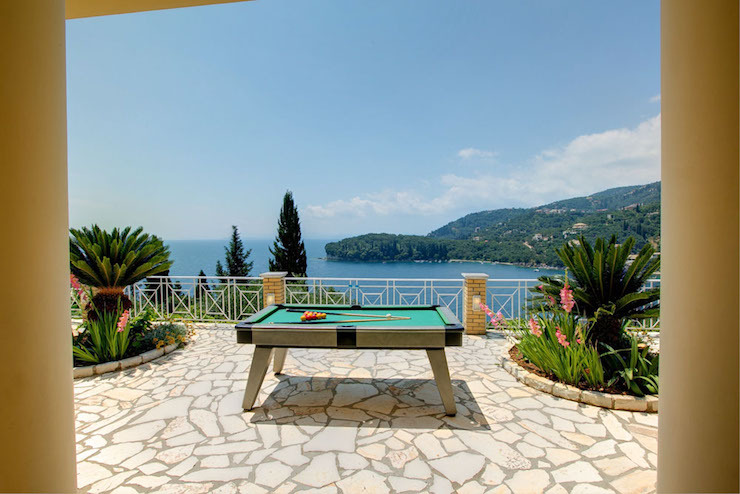 I’m pleased to see that Villa Plus offer wifi and private pools as standard in many of their villas, as well as features such as table tennis and pool tables – they say that they offer more free added extras than anyone else. Have you ever been on a villa holiday? How was it? If not, is it something which you’d like to do in future? Villas are our absolute go-to when travelling, especially with so many of us. It’s great to have the space and comforts of home as well as the independence that a hotel doesn’t offer. Absolutely – you must really need all of that with your family. This is an excellent idea Gretta. Villas are perfect for family getaways especially with teenagers. I think Ill be taking this down, as so when the time comes, I know where to go on holiday. It could work really well for you guys, I reckon! I think Vila holidays are a plus whatever age your kids are. We definitely like the freedom and flexibility they bring! Totally agree that villas are perfect with kids – actually of any age, I think, but when they get older, they definitely need the space away from us! Yes, space really is crucial as kids get older. Villa hols are great for little ones too, my boys need LOTS of space when they’re on holiday! That’s true, little ones need space as well! It does sound as though Villa Plus have thought of everything. My son’s beginning to act a bit like a stroppy teenager already (at the tender age of 7), so I’m taking notes from your words of wisdom! Oh dear – that’s very early to start with the teenage attitude! We love our villa holidays too, they work SO well. I really miss not having been on one for the last couple of years so really want to make it happen in 2017. They do work well – they just offer so much flexibility, I find. Villa holidays are such a good way to travel – I love them with my daughter because of the flexibility and space, which makes life so much easier with little ones. Good to see they’ll still be working for us in a decade when she’s a teenager! They absolutely will still be working for you then – possibly even more than they do now!